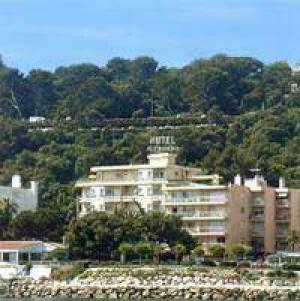 Residence Residéal Antibes is just 800 metres from Vauban Port and the Mediterranean Sea. It offers studios with a kitchenette and a rooftop swimming pool. The studios at Residence Resideal Antibes have a private balcony or terrace. Each has a kitchenette equipped with a refrigerator, an oven and hot plates to make meals. All studios are serviced by a lift. Guests can enjoy views of Antibes and the French Riviera on the rooftop terrace with a drink from the bar. The residence also has vending machines offering drinks and snacks 24 hours a day. The residence is easily accessed from Antibes train station 500 metres away or Nice Côte d'Azur Airport a 20 km drive away. Wi-Fi is available throughout the residence and public parking is possible on site. Please note that extra charges may apply for bed linen, towels and a final cleaning service.